You’d like to think that you can hand a piano book to your child and their life would be forever enriched from the experience you’ve just provided them. The truth is the day you sign up for piano lessons is that day the student, mom, and dad get committed to practicing. It’s the only way it really works. If you’re ready to take on the challenge, here are a few ideas to get you pointed in the right direction. 1) Ask Questions – Ask your teacher what your child should be doing that week at the end of every lesson. Ask for a demonstration if you don’t understand. Maybe even sit at the piano yourself and try things out. 2) Set a Practice Goal – I like to ask students to practice 20 minutes a day for 5 day each week. Some days get busy, so every day might not be realistic. Five days a week should be. 3) Flash Cards – Help drill note names and rhythms with flash cards. Not knowing the note names and rhythms can be the most challenging part of playing the piano in the beginning. 4) Suppliment – Look for great pieces to suppliment your child’s music book. This can often stimulate an interest in practicing. 5) Praise – Let your kids know how much you enjoy it when they play the piano. A little praise goes a long way! Who’s That Pianist in the Android Commercial? The first time I saw this commercial I was like, “Wow? A few runs later I looked it up. Android, for their “Be together. Not the same.” campaign, wondered if they could take a piano with 88 keys and reengineer it so that it would only play one note: Middle C.
They asked Ji-Yong Kim to perform for the television commercial, and aired it for the first time during the 2016 Grammy’s. Piano music generally presents two distinct challenges: 1) Chord-Based Music, and 2) Linear-Based Music. Piece from both categories should be introduced to young piano students. Bach’s Invention No. 1, falls into the linear-based music category – two distinct lines that complement each other. It is masterfully written and a rewarding challenge for students. Students need creative opportunities to flourish in their music studies. Here are just 3 simple ways you can get started in sparking creativity with your students. they are not confident in those skills. To help with creative confidence, start with improvising. Give them an easy “no fail” base line to work with so no matter what they do it will sound awesome. Black key improv patterns works very well for this! Then gradually work over to composition. This year in my piano studio, I have created “Creative Story Compositions”** where students are combining two skills: Story writing and music composition. Even some of my more stubborn creators are enjoying this process. I have them do a page each month to gradually build their complete story composition. Giving them smaller guidelines to work with has really helped and I have enjoyed seeing their creative process in work. Play Games – Games are a fun way to encourage creativity. Whether it is an app, a puzzle or something a student makes up; games have a way of igniting their brains, shaping them towards the creative thinking process. The best games that encourage creativity are games without “rules” where there isn’t necessarily a winner/loser but a tool that simply encourages creativity. students to do over the summer is a practice prop project. A practice prop project is simply something that students create that represents their practicing. The great thing about these projects, besides encouraging practicing, is that they are creating something. I’ve had students create theory games, write compositions, art projects, computer animations and much more. I’m always amazed at the projects that students come up with. Alone, the projects are pretty neat, but then you add the element of practice that was represented behind them and it makes it even cooler; all of the sudden that project means more to them. It represents hard work, dedication and most of all creativity. Creativity + Engagement = Positive results! So make time for creativity with your students. Light that SPARK! It’s in them ready to come out! Here’s an excellent arrangement of Beethoven’s Pathetique Sonata. This arrangement provides elementary/jr. high students with an easy-to-play introduction to one of the very best Beethoven compositions. Most school teachers are faced with teaching only one grade level. 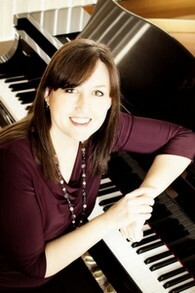 As a piano teacher you must develop strategies for teaching students as young as three years of age. This post will address the challenge of teaching students ages 3-6 years of age. 1) Lessons Length – Determine a lesson length that your student can manage. It might be as little as 15 minutes per week. Consider spending half of the time at the piano, and the other half at the kitchen table learning note names and rhythmic values. 2) Questions – When you ask a question, give them time to answer. This really just good teaching. With this age group you will really have to be patient. It might take young students a while to come up with an answer. 3) Keep Instructions Short – Throughout the lesson, instructors should set achievable goals with very few words, and then attempt them quickly. Lost time will result in distractions and loss of focus. 4) Movement – Young students need to move. Be creative with your approach, giving them opportunities to learn through movement. Example: Ask them what a whole note is, and then let them show you by placing four blocks together on the floor to represent four beats. 5) Encourage – Each and every time a student meets your goal, congratulate them. Your goal should always be to build up the child and create in them a love for learning.